It's almost feels like our game project has been in hibernation for awhile now. At least that is what it may seem like to everyone looking in from the outside, especially if you haven't been checking out our DevBlog for updates. So while we have been quiet; we haven't been completely silent! We've had to deal with some real-life illnesses and drama lately but things are slowly getting accompllished. 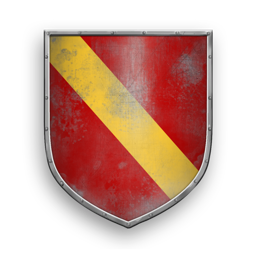 If you haven't checked in with us since we launched our Coat of Arms Creator, shame on you! We've got a bunch of new stuff completed that you need to know about. The updated COA layout is meant to be cleaner and more elegant. Finer details might change, but this new structure is considered final. We've finished and put in place a Player Module which is working behind the scenes here at www.feudums.com, an Admin backend for managing our users and our Collectibles (so yes, our COA Creator contents have been integrated to the server) and their rules, plus a working, full-duplex communication module between our clients and our (brand new) cloud-based server! Whew! We've done other stuff too but this is the big stuff. Basically, we've done most of the really boring stuff that no one can see but is critical for any game to function properly. We continue to move forward on the Server and Client fronts with a focus on eliminating technical debts on the the client side and establishing production quality server-side codes. For a blow-by-blow, visit our Devblog. Collectibles: bug fixing & covering edge cases for Collectibles (including logic for Collectible Packages). Like, what would happen if a Package, or a related Achievement that has already been unlocked by multiple players is modified by a game admin. Made some bugfixing and implemented missing, Cloud Platform specific features for edge-cases in user management. GameMap: changed GameMap's viewport logic based on latest feature demands. Optimized map logic workload and memory footprint. Added a cheap (fast & not demanding) post-update correction method for potential tile updating issues in camera related edge cases. (these solved a couple feature requests while made the map more performant). Continued to fill the gap between our 1.0 engine requirements and existing technical features. We found some weird and annoying bugs for a while, and though none were a gamestoppers, they took time to find and fix. Inputs: Worked on and completed a unified (and in terms of performance, a tablet-efficient) input system for touch, mouse and key events since Unity isn't shipped with any, nor there is any free or paid asset that would cover all three sources and would be also optimized for handhelds. We now have a component that we can put on UI regions and it can recognize and route touch, mouse and key inputs to game actions, with all the rules specified on a binding layout (in Unity Editor) for hassle-free setups. There is potential for later optimizations, especially for gestures, like finding the perfect speed variables for panning at different map distances, but for now, it's good to go. Unity & IDE Update: Due to unforeseen difficulties, had to reinstall both Unity and the development environment, so then decided to also install the newest versions of both and smoke tested Feudums against the changes. So far it seems, it didn't break anything. Also had to reinstall everything that is necessary for building to Android and updated minimal required Android version to 5.0 (so there will be less legacy Android code attached to the build). On the artistic front, our resident artist has finished most of his to-do list for in-game arts, even including some illistrations to go with recently hinted Game Events (plagues, wars, famine, etc). Don’t miss out! Subscribe to the Feudums Newsletter and get the latest game updates and build info delivered to your inbox! It's about time we started the draft implementation of some modding features. Therefore, we're asking you to give us your feedback on what kind of modding you'd prefer. Earn an extra round of respect for commenting (explaining) about your choices! Vote for the platforms you will play Feudums on. This will help us prioritize our development and releases accordingly.